Students learn about the life and death of Jesus and the historical spread of Christianity, including the missionary work of St. Paul. Map study and a timeline ground their learning in chronology and geography as they explain the successful spread of Christianity across the Roman Empire. Finally, they interpret well-known universal sayings of Jesus. 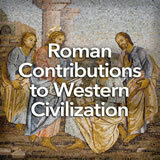 In this experience, students learn about the life and death of Jesus and the historical spread of Christianity, including the missionary work of St. Paul. 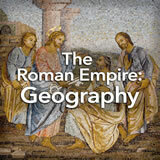 Map study and a timeline ground their learning in chronology and geography as they explain the successful spread of Christianity across the Roman Empire. Finally, they interpret well-known universal sayings of Jesus. Describe the origin, beliefs, traditions and customs of Christianity. 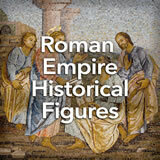 Identify key figures in early Christianity. 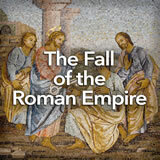 Describe the social and political impact of the Christian Church. 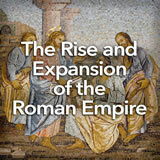 Explain the significance of the Church in the late Roman Empire. In this experience, you will learn about the birth and early growth of a religion that has been important for more than 2,000 years: Christianity. What words and phrases come to mind when you think of the word Christianity? Discuss student responses, which will probably cover a wide range. Words for the cloud might include, but are not limited to, Jesus, St. Paul, St. Peter, pope, Bible, church, Christmas, and Easter. Invite students to briefly describe the meanings of words they posted.